TRAPA is a full service log and lumber sales, marketing and manufacturing company focused and committed to customer service. Exceptional customer service is measured by our ability to procure different species, grades and sizes of softwood lumber, to ship on time, to supply goods as ordered, and provide timely information throughout the transaction. In addition to TRAPA being the exclusive export sales team for Hampton’s eight sawmills, we also have sales and marketing agreements with a number of sawmills and remanufacturing plants in BC, Alberta, and the U.S. Pacific Northwest. The scope and variety of products TRAPA has available are unmatched by any other North American lumber shipper. TRAPA is the largest privately owned log and lumber exporter and custom cutter in North America specializing in all softwood species. We currently cut at nine different custom cut sawmills in southern British Columbia producing lumber in Douglas Fir, Western Red Cedar, Pacific Coast Hemlock, Balsam Fir, Sitka Spruce and Yellow Cedar. To well serve our suppliers and customers alike, TRAPA has offices in Richmond BC, Portland OR, Port Alberni BC, and Tokyo Japan. TRAPA is also certified with both FSC and PEFC (see our TRAPA and The Products and Services ‘tab’ for more detailed information). 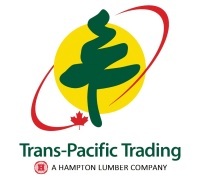 TRAPA also maintains memberships in Coast Forest Products Association (CFPA), The Council of Forest Industries (COFI), BC Wood, The Richmond Chamber of Commerce and the Japanese Business Association of Vancouver (Konwakai).